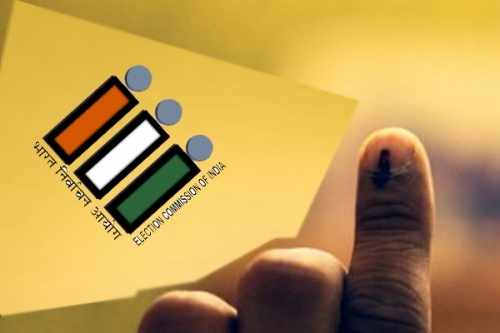 Chennai, Feb 9 : Ahead of the general elections, the Elections Commission of India on Saturday conducted mock polls in various parts of Chennai to raise awareness among people about voter-verified paper audit trails (VVPATs). VVPAT or verifiable paper record is a way of providing feedback to voters through a ballot less voting system. The method also confirms the authenticity of Electronic Voting Machines (EVMs). Tamil Nadu Chief Election Officer S Sahoo said, It was an awareness campaign on VVPATs to make people aware of its functioning and to train officials. We have taken this step at every polling station. Last year, the EC had flagged off mobile awareness vehicles to give a demonstration of the working of EVMs and VVPATs ahead of the assembly elections in five states. Underlining the importance of casting vote, slogans like 'Your vote, your future', 'Make your vote count' and 'Think democracy is in your hand' have been displayed on the vehicles.